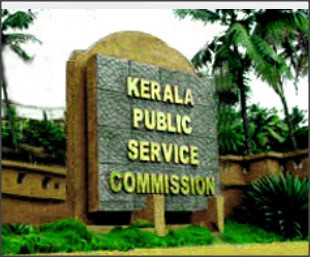 4 Number of vacancies : District wise Alappuzha – 11 (Eleven) Idukki – 5 (Five) Thrissur – 5 (Five) Palakkad – 7 (Seven) Malappuram – 3 (Anticipated Vacancies) Kannur – 4 (Four) Kasaragod – 8 (Eight) Kottayam Kozhikode Anticipated vacancies. 3% of the vacancies to the above post are reserved for differently abled candidates ( Locomotor disability/ Cerebral palsy) as per GO (P) No. 1/99 P & ARD dtd. 1.1.1999 & G O (P) No. 1/13/SJD dtd 3.01.2013. 6. Age Limit 18-36. Candidates born between 02.01.1979 and 01.01.1997 (both dates included) are eligible to apply for this post. (Usual age relaxation will be given to SC/ST & Other Backward Communities) Note :- For concessions allowed in upper age limit, subject to the condition that the maximum age limit shall in no case exceed 50 years, please see para (2) of the General Conditions under Part II of this Notification . 9. Last date of receipt of applications : 02.12.2015 Wednesday up to 12 midnight.